The Philippine Azkals bowed to the Uzbekistan Under-23 Olympic team, 3-0, in a friendly game at the Maktoum Stadium Al Nasr Sports Club in Dubai. Filipino-German keeper Roland Mueller was the busiest Azkal in the game as the Uzbeks repeatedly bombarded the goal with shots. Thirty minutes later, Uzbek Ivan Nagaev hiked his team’s lead to 2-0 when he struck past goalkeeper Mueller in the 42nd minute.In the 12th minute, the Filipinos were caught napping on defense when Kenja Turaev escaped from his defenders and scored a goal that placed the Uzbeks at a 1-0 advantage. Half-time statistics showed that the Uzbeks enjoyed 58 ball possessions against the Azkals’ 42. The Filipino footballers also committed 8 fouls in the first half, giving the Uzbeks several free kicks. At the start of the second half, the Azkals came out with an improved passing game. The Azkals even had a near goal in the 59th minute when they pulled off a good cross. The Uzbek goal keeper, however, was able to block Angel Guirado’s header. In the 65th minute, the dangerous Nagaev struck again by taking advantage of the Azkals’ uncoordinated defense. His shot found its way to the back of the net, bringing the score to 3-0. It was clear from the match that the Azkals need to shape up some more since they often struggled to keep up with the well-conditioned Uzbekistan team. The friendly is part of the Azkals’ preparations for the upcoming 2012 Challenge Cup in Nepal in March. The Azkals will next face the United Arab Emirates’ (UAE) professional football team Al Ahli SC in Doha on Monday. Their last game in UAE will be against Australia’s Qantas Under-23 on Thursday. Facing an opponent that came to play instead of going all defensive, Stallion Gilligan’s drubbed Green Archers United, 5-2, to wrest back the lead in the United Football League at the Rizal Memorial Football Stadium yesterday. Jovanie Simpron knocked down two goals (42” and 78”) while the league’s top scorer Lee Joo Young got one in (15”), his seventh of the tourney, as the Stallion bounced back from a scoreless draw the last time out against a compact and hard-fighting Pasargad side. With their fourth triumph against a stalemate, the Stallion vaulted back into the top of the leaderboard with 13 points, bumping off idle Loyola Meralco Sparks (12 points on a 4-0-1 slate). “We had the game on hand. We knew we had to win this game so we would end up at the top of the table. Sayang yung sa Pasargad; but at least we showed we were able to adjust based on that game,” said Stallion coach Ernie Nierras. After firing blanks against Pasargad, Stallion’s scorers hit their marks against the Archers (0-1-4, one point), with Lee finding the back of the net 15 minutes into the game after his shot was deflected in by an Archer defender. Tating Pasilan tied it on a getaway at the 33rd but Stallion regained control on Simpron’s shot that was deflected but found its way in for a 2-1 count. Bervic Italia made it 3-1 at the 57th but Pasilan put the Archers closer with his own connection 10 minutes later. Simpron and Pi Yong Jae’s goals (78” and 90”) sealed it for the Stallion, who hardly missed the absence of Ruben Doctora, currently with the Azkals in Dubai. “The Green Archers played and fought, (unlike) against Pasargad where they’re very defensive. It also helped that we were able to score first and the game opened up,” said Nierras.“In the last five minutes, our game was back – we’re just making passes and we even scored towards the end. That’s what we’re going to do all the time – be able to open up, find those lanes. At first there were hesitations for whatever reason but at least after that, we returned to our old system – a one-touch football, looking for the angles and attacking the angles,” he added. After three training sessions in their Middle East camp, the Philippine Azkals plunge into action against Uzbekistan’s Olympic team tonight at the Al Nasr Sports Club’s Al Maktoum Stadium in Dubai. The Azkals, who are cramming to get into top condition and achieve cohesion for next month’s AFC Challenge Cup in Nepal, will have their hands full against the Uzbeks in their 8 p.m. (12 midnight in Manila) friendly. The Uzbeks just came off a 2-0 win over an Australian side to lead Group B of the AFC Asian Qualifiers for the London Games with 8 points. This match will kick off the Azkals’ three-game stint in the Gulf. Phl XI is scheduled to travel to Doha for a duel with Qatari first division club Al Ahli on Monday before returning to the Emirates to meet Australia’s Olyroos on Thursday. “We are preparing for the AFC Challenge Cup, and are hoping to reach the final and even win the Cup. It is our goal. We are facing strong opponents and I want to take the opportunity to test the team,” said Azkals coach Michael Weiss as quoted by sport360.com. “We have a month before the Challenge Cup and we need to use the time wisely,” he added. Expected to lead the Azkals are Phil and James Younghusband, Rob Gier, Ian Araneta, Angel Guirado, Roel Gener, and Misagh Bahadoran, Jason Sabio, and Lexton Moy. Also to be unleashed are new recruits Luis Guirado, Denis Wolf, and Ruben Doctora with youngsters Joshua Beloya, Carli de Murga, Paolo Pascual, and Marwin Angeles. Co-skipper Chieffy Caligdong, who’s nursing a knee injury, will only be joining light practices and won’t see action in the tuneups. “It’s sad. 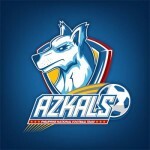 It’s my first time to go abroad and not be playing with the Azkals,” Caligdong said in a report on gulfnews.com. The fourth week of the United Football League saw a change at the peak of the first division standings, with high-flying Stallion Giligans being stunned for the first time this season. Saturday was a very busy day in the UFL, as all the first division clubs aside from Global and Green Archers United were in action. Nomads Auction Manila and Philippine Army Fritz and Macziol kicked off the action with a competitive 1-1 draw, before the Loyola Meralco Sparks continued their good run against Kaya, as both Younghusbands scored to earn a comfortable 2-0 win. With Loyola going top of the table after its triumph, all eyes were on Stallion Giligans to regain its advantage as they faced a Pasargad side that has failed to win so far this season. Having already beaten the Sparks, Philippine Navy Redjuice and Philippine Air Force Phoenix to start the campaign, nobody expected that Stallion would drop its first points. But frustrated by a determined Pasargad defense, Ernie Nierras’ side failed to find a breakthrough despite the opposition going down to ten men early in the second half when Miki Emaka was sent off. The match finished 0-0, ending Stallion’s perfect start and ensuring that Loyola remained at the pinnacle of the standings. The Sparks are two points ahead, albeit having played one game more. Defending champions Air Force was in action in the evening’s earlier match, and the Airmen finally got their first win of the season as Ian Araneta scored two goals early in the second half to ensure Marlon Pinero’s 90th minute effort was nothing more than a consolation. The 2-1 victory gives a much needed boost to the struggling Air Force, especially as it managed the feat without their talismanic winger Chieffy Caligdong, who is out with a knee injury. In the only Division One contest on Sunday, Green Archers United’s misfortune in the league resumed as it found itself on the losing side once again in a contest that saw six cards produced, two of which were red. Global keeper Etounai Sylvain was sent off in the 80th minute, but United barely had an opportunity to take advantage as Arvin Soliman followed suit shortly after when he stopped a goal-bound effort with his hand. The resulting penalty was slotted in by Azkal Carli de Murga, handing Global a hard fought 1-0 win that keeps them just three points from the top. The fourth week showed no one is untouchable in the UFL and really put into perspective that this will be a very competitive next few months with plenty of twists and turns along the way. Who said the league couldn’t be exciting? I’m drooling at the possibilities, and it’s only begun. Defending champion Air Force Phoenix leaned on striker Ian Araneta’s heroics as it turned back Navy Red Juice, 2-1, to keep its slim hopes alive in the First Division of the United Football League at the University of Makati field over the weekend. Pasargad, meanwhile, held a heavily favored Stallion Gilligan side to a scoreless draw, enabling Loyola Meralco Sparks, which downed LBC-backed Kaya, 2-0, at the Rizal pitch, to seize the solo lead with 12 points. Stallion settled for 10 points behind Loyola, spearheaded by Phil and James Younghusband, while Kaya stood just a point behind Stallion with nine points on three victories in four outings following that heartbreaking loss to Loyola. Pasargad improved to two points. Korean Lee Joo Young, who currently leads the league in goals scored with six ahead of the Younghusbands with four apiece, failed to get on a scoring act against the tough Pasargad defenders. Araneta, meanwhile, unleashed a pair of goals in just a nine-minute span early in the second half to power the Airmen, also the Cup titlists, to their first win after two stinging setbacks and a draw. The victory thus propelled the Air Force Phoenix from a share of ninth to solo seventh with four points. The Navymen tried to salvage the match following a goal by Marlon Pinero just a minute left in regulation but failed to knock in the equalizer in injury time for their third loss against a draw. Phil Younghusband delivered both goals in the Loyola Meralco Sparks’ 2-0 drubbing of Kaya FC for the solo lead in the First Division of the United Football League at the Rizal Memorial pitch last night. Younghusband scored on the setups of Mark Hartmann as the Sparks topped their erstwhile co-leaders for their fourth win against one loss. The Fil-Brits conspired for the first goal on the 12th minute then for the second just before the first half ended. “As a team, we changed our formation and attitude because we want to work harder and win after that loss to Stallion,” said the 20-year-old Hartmann, stepping up in the absence of brother Matthew, who is under suspension by both the league and the Philippine Football Federation. “To earn six points in two games, that says a lot,” he added. Earlier, Army Fritz & Macziol and Nomads Auction Manila fought to a 1-1 draw to remain in the middle of the pack. Toullec Loic opened up the scoring for Nomads with a goal on the 10th minute. But the Armymen, a traditional powerhouse in the league, came roaring back with a spectacular header by Roel Gener, a former Azkals member, on the 30th. The deadlock improved Nomad’s and Army’s total outputs to five points each – good for joint fifth. There were some anxious moments late in the game with the two teams engaging in a shoving match. Unbeaten Kaya tries to settle an old score against Loyola Meralco Saturday in the United Football League at the Rizal Stadium. Kickoff is at 4 p.m. with Kaya seeking payback for its 4-5 loss to Loyola in the UFL Cup last December. The loss still stings for Kaya, which wasted a three-goal halftime lead and bowed out of the tournament. “It’s the kind of loss that you’ll remember for the rest of your life,” Kaya midfielder Lexton Moy said. Kaya, which stretched its unbeaten start to three with a 2-1 nipping of Navy last Sunday, can grab top spot ahead of Stallion with a win Saturday. Loyola captain James Younghusband hopes the Sparks will be equal to the challenge. “I think everyone is looking forward to the game and we know Kaya will be out for revenge,” said Younghusband, who struck twice in the 4-3 win over Global Wednesday. Loyola sits at third on the table after splitting its last two games. The Sparks bowed to pacesetter Stallion, 1-4, last Saturday. The Sparks will have co-leading scorer Phil Younghusband back from suspension. Army looks to rise to fourth spot as it tangles with Nomads in the first of two games aired live by AKTV on IBC13 at 2 p.m. The Loyola Meralco Sparks overcame the absence of star striker Phil Younghusband and rebounded from a disappointing loss in their last outing, but not before surviving a late rally by Global FC in exciting United Football League action Wednesday at the Rizal Memorial Football Stadium. After Loyola’s Byeong Yeol Jeong and Global’s Misagh Bahadoran exchanged goals early in the match, before James Younghusband and Mark Hartmann struck late in the first half to give the Sparks a 3-1 lead heading into the break. The elder Younghusband, taking the cudgels for the suspended Phil who was docked a red card in Loyola’s 4-1 loss to Stallion Gilligan’s last Saturday, put the Sparks up 4-1 in the 50th minute. Global, however, came alive late in the match, with hulking forwards Angel Guirado and Izo Elhabbib scoring in the 76th and 78th minutes, respectively. But Global was unable to complete its comeback, allowing Loyola to escape with the 4-3 victory. The win gave Loyola nine points over four games, good for third in the table behind undefeated squads Stallion and Kaya FC. Apart from missing the younger Younghusband, the Sparks were also without midfielder Matthew Hartmann, who is serving an indefinite suspension meted by the Philippine Football Federation. Loyola will be tested once more on Saturday as they face Kaya at the Rizal Memorial Stadium. Phil Younghusband is expected to suit up for the Sparks. The Azkals are keeping their fingers crossed that injured co-skipper Chieffy Caligdong would recuperate from his partial ACL tear in time for Phl XI’s international friendly against Malaysia on Feb. 29. Team manager Dan Palami said more tests will be done on the speedy winger to determine his condition, especially with foreign training and a big tournament forthcoming. Caligdong’s participation in the Azkals’ Feb. 7-17 training camp in the Middle East, and possibly the AFC Challenge Cup campaign in Nepal in March, was jeopardized by a leg injury he sustained during Air Force’s game in the United Football League Saturday. “He’ll be checked on Friday again. But doc (is) hopeful that he can be ready by Feb. 29,” Palami told The STAR in a text message. On that date, the Azkals will be playing Malaysia’s national team, the reigning AFF Suzuki Cup champions known as the Malayan Tigers, in a Fifa international match at the Rizal Memorial Football Stadium. At the same time, Palami said there’s still hope that the pride of Barotac Nuevo, Iloilo might still be able to join the team for its 10-day training camp in Dubai and Doha. “Friday’s checkup will determine if he can go to Dubai or stay here for rehab,” Palami said, whose crew is already missing skipper and defender Aly Borromeo due to an ACL injury. The Azkals will be using their Middle East camp to achieve cohesion, get closer to game shape and develop strategies for the final stage of the 2012 AFC Challenge Cup, slated Mar. 8-19 in Kathmandu, Nepal. Kaya FC came back from a goal deficit to turn back upset-conscious Philippine Navy Red Juice, 2-1, to seize a share of the lead with the Stallion Gilligan’s FC in the First Division of the United Football League at the University of Makati field over the weekend. Probably playing complacent with knowledge that they’re unbeaten and pitted against a winless side, the LBC-backed Kaya booters felt a major jolt after striker Vaughn Mellendrez, who formerly played for Smart San Beda, rammed in a goal on the 21st minute when no one is looking to give the Navymen an early 1-0 lead. That’s when Kaya FC, mentored by locally based Spanish coach Juan Cutillas, woke up and slowly but surely clawed its way back that started when striker Joshua Beloya, formerly of Second Division team Bacolod FC and member of the Azkals’ under-23 team that saw action in last year’s Indonesia Southeast Asian Games, nailed a goal eight minutes later to knot the count at one apiece. With the game tied, Ivory Coast’s Eric Dagroh came to Kaya’s rescue and broke the tie with a rocket-like goal on the 71st minute that decided the match and sent the title favorites to their third straight win and into a tie at the helm with Stallion with nine points apiece. “We’re on track but its just the start and we haven’t faced some of the best teams in the league yet,” said Cutillas. Kaya FC, however, will have its hands full when it faces equally dangerous, Phil and James Younghusband-led Loyola Meralco Sparks on the main game of Saturday’s offering at the Rizal Memorial pitch. “That’s a big test, that game against Loyola,” said Cutillas. The Navymen fell to their second loss and remained with just a point after their 1-1 deadlock with Nomads Auction Manila a couple of weeks back. The late goal by the 22-year-old Dagroh was his second after nailing Kaya’s only goal in a 1-0 win over defending league and Cup champion Phl Air Force Phoenix in the opener last Jan. 14. Dagroh ties Fil-Am midfielder Lexton Moy, who struck with two in a 2-1 edging of the Hans Smith-coached Green Archers United last week while Beloya nailed his first goal since joining Kaya FC this year.